Mike's Seafood manager Anthony Edwardi, left, and owner Mike Monichetti display a banner promoting the fundraising walk and run for autism awareness. Mike Monichetti has been handing out flyers from Cape May to Brigantine and advertising posters from Atlantic City to Cherry Hill. “And everywhere in between,” he noted. As he does every year, the owner of Mike’s Seafood & Dock Restaurant in Sea Isle City is making a big push to get the word out about the annual run-walk sponsored by his family to benefit autism-related causes and organizations. 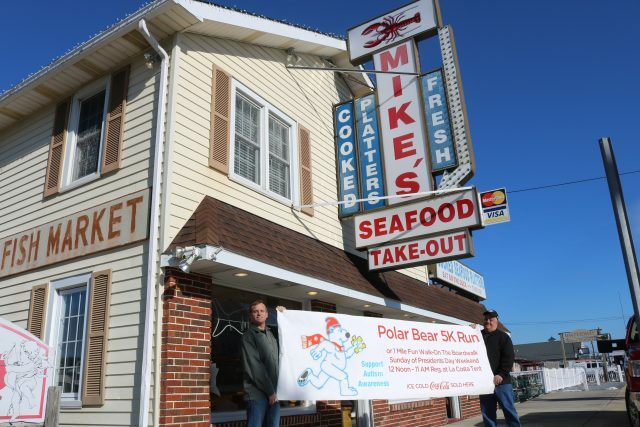 Last year, Mike’s Seafood Polar Bear Run-Walk for Autism attracted 2,200 participants and raised about $132,000 before expenses, Monichetti said. Boosted by a favorable weather forecast, this year’s event, at noon Sunday, Feb. 17, is expected to draw around 3,000 runners and walkers. “The long-range forecast looks very promising this year, with temperatures in the 50s,” Monichetti said. Proceeds from the event will benefit special services schools, autism support groups and families with special needs children. 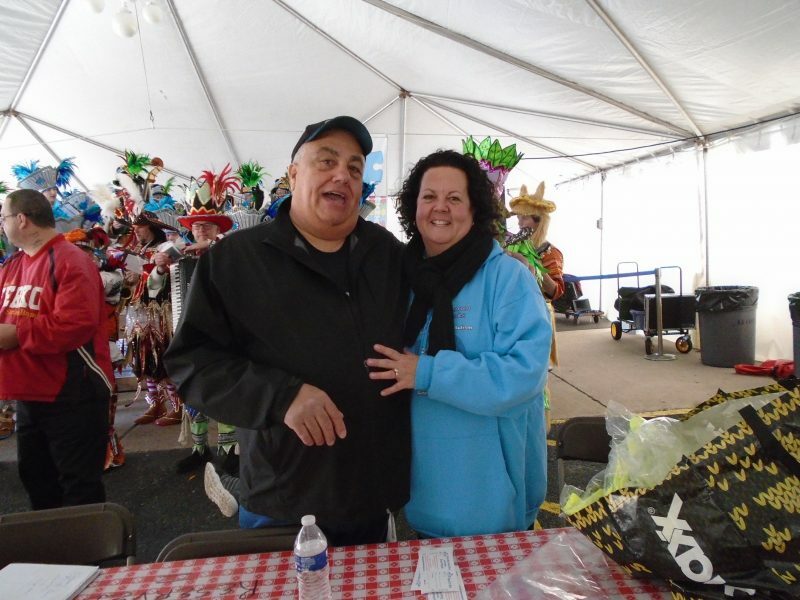 Local restaurant owner Mike Monichetti and his wife, Jeannie, organize the annual charity walk and run benefiting autism awareness. Monichetti and his wife, Jeannie, who have a daughter, Kara, and a son, Michael Jr., with autism, have been sponsoring the run-walk for 11 years. The event features a 5K run and one-mile fun walk on Sea Isle’s Promenade overlooking the ocean. 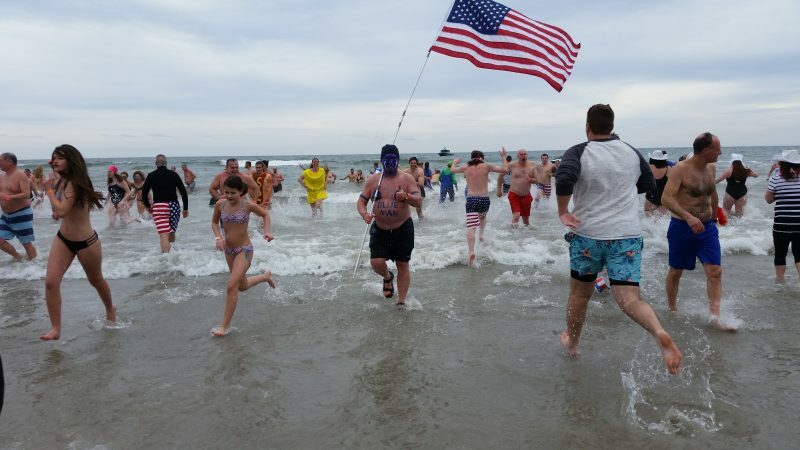 The run-walk is one of the centerpieces of the Polar Bear Plunge Weekend festivities in Sea Isle on Feb. 15-17. The annual Polar Bear celebration, highlighted by a plunge in the frosty ocean, traditionally draws thousands of visitors to town in the dead of winter, reviving Sea Isle during what would normally be a quiet time at the Jersey Shore. 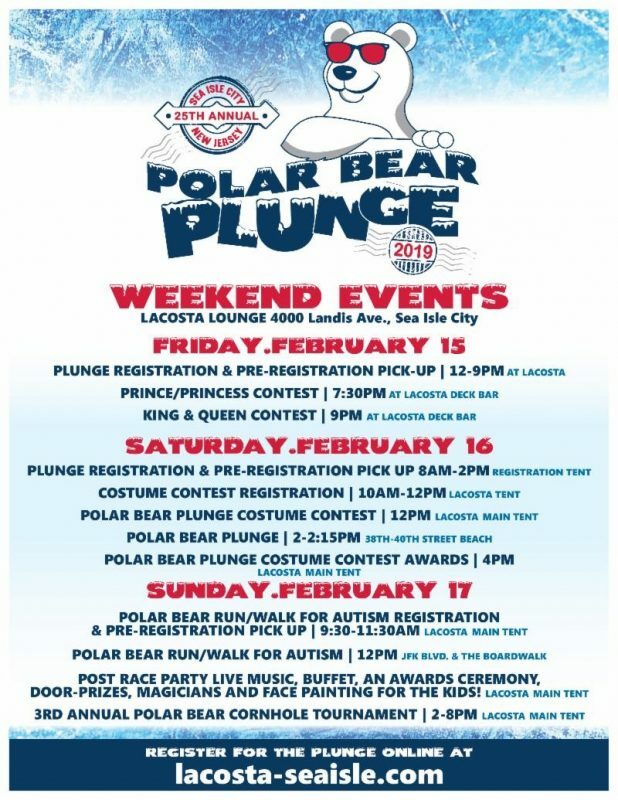 On Saturday, Feb. 16, registered plungers will have a chance to showcase their creativity during the Polar Bear Costume Contest at noon inside the main tent at the LaCosta Lounge, John F. Kennedy Boulevard and Landis Avenue. The official time of the Polar Bear Plunge is 2 p.m. Saturday, Feb. 16, on the beach between 38th and 40th streets. It is the plunge’s 25th year. The annual Polar Bear Plunge is a major tourism event for Sea Isle. Altogether, an estimated 50,000 visitors are expected to pour into town over the three-day Presidents Day holiday weekend. “People will marvel at the 50,000 visitors who come to Sea Isle for Polar Bear Weekend,” Mayor Leonard Desiderio said. Many of Sea Isle’s businesses normally close down for the quiet winter months, but Desiderio said he expects 90 percent of them to reopen for a weekend of partying, dining and shopping during the Polar Bear festivities. All sectors of the business community, including shops, restaurants and bars, receive a boost by having so many visitors in town, according to the Sea Isle Chamber of Commerce and Revitalization. “Polar Bear Plunge Weekend has grown in the last 25 years to become like a summer weekend and we are so thankful to the thousands of people who come to Sea Isle City in February to support the event,” James Bennett, the event organizer and owner of LaCosta Lounge, said in a press release. To register for the Polar Bear Plunge, go to www.lacosta-seaisle.com. To register for the Mike’s Seafood Run-Walk for Autism, go to www.polarbearrunwalkforautism.com. An array of entertainment will unfold over the Polar Bear Plunge weekend celebration.